Do any of you still have boxes of chocolate stacked up from the holidays? We still have some, but I've finished up all of the fun candy! 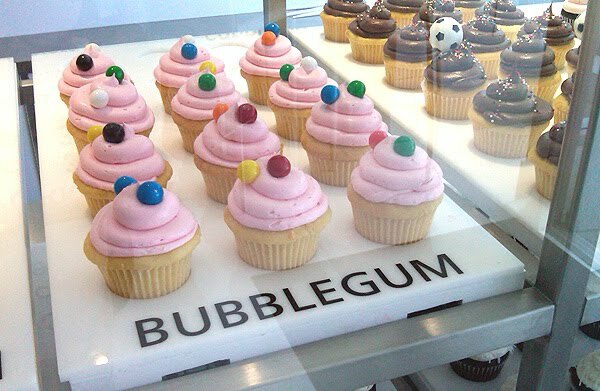 I must confess, I am a candy addict. Not chocolate per se, but things like gummies, sour candies and licorice. My lowest point was my addiction to Nerd Ropes. When I received my holiday box in the mail from my dearest friend Janet, I was overwhelmed as always. The presentation was so amazing that I didn't want to open anything! Janet and I always send candy goodies with our gifts. Janet had the advantage of going to Paris this past fall, so I was thrilled to receive some really special candy. 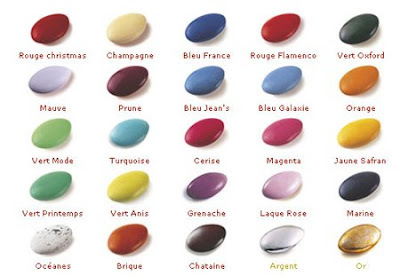 First of all were these amazing Jordan almond-shaped coated chocolate "dragees" made in France. Janet sent a pastel variety from Fauchon and a Chanukah-colored mix (blue, silver & gold) from the famous chocolatier, Debauve & Gallais in Paris. For over 200 years Dabauve & Gallais have provided some of finest chocolates in the world, and are the prettiest I've ever seen. 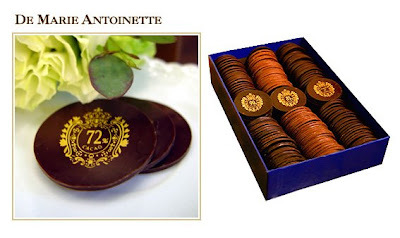 Introduced by Sulpice Debauve, the royal family chemist, this range of chocolate "coins" was first developed for Queen Marie Antoinette in order to ease her distate for taking medicines. She was so delighted with them that Monsieur Debauve was commissioned to create an entire collection called the Pistoles de Marie Antoinette. (You can purchase Debauve & Gallais chocolate online and they now have a shop in New York City. 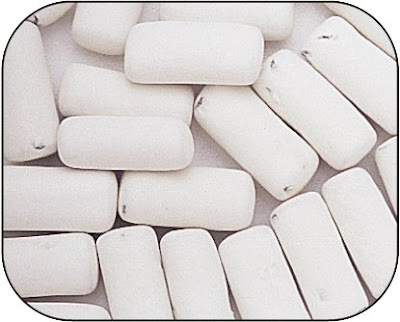 These fun "school chalk licorice" are the best things you've ever tasted. White coated black licorice with a creamy center. A nice hint of mint as well. I finished mine up right away and bought some more online. 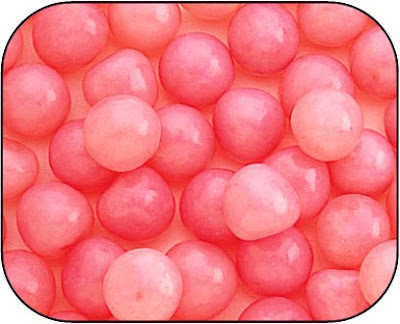 Then there are these yummy pink watermelon sour balls. Pretty and tasty! These crunchy fruity gummy bears are delicious if you haven't tried them. 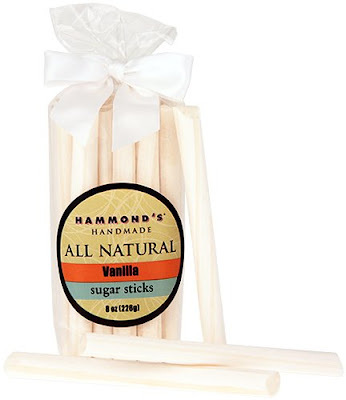 These sugar sticks are really pretty, but a bit sweet. Thanks for all of my candy Janet! 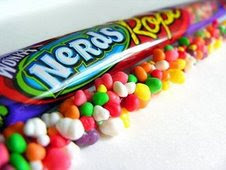 And thanks for introducing me to Nerd Ropes! We are a sick bunch. What are some of your favorite candies? I must know! I have to chuckle on your choice of topics today .... you will find out why in the next day or two ! 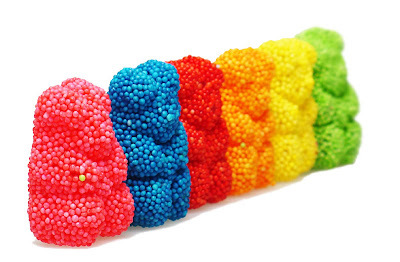 Cottage Rose: Nerd Ropes are like kid's candy. They are at 7-11's. Tart and chewy! Leah: Ditto. Did you ever try chewy Sweet Tarts? Thanks for the tasteful post. I agree with Cottage Rose - Peanut Butter Cups are REALLY good. I'm more a chocolate and caramel gal, but I'll go for Good N Plenty for a trip down Memory Lane. Your photos of the beautiful candies are great! Sugar Daddies and sugar babies...but there hard to find now. I love almond dragees that Williams-Sonoma has every Easter and I love anything made from marzipan (those fruit-shaped thingies). Love a lot of Soviet-style candy from my childhood - chocolate varieties and hard candy; it is not the same anymore when I go to Russia. Fab website for French chocolatier - I bookmarked it and will surely order from them. Thanks!